After investing in your business’ website design and content, you will still need to get people there. A great way of attracting visitors is by spending some time on a good email marketing campaign. The first thing to do is to sit down and make a plan that clearly maps out what you want to say, how often you will send out emails, and what you want to achieve by doing an email marketing campaign. With this baseline in mind you will have to get creative. If people open an email and see the same content as they have seen a million times before, they aren’t going to choose to follow the links through to your website. Figure out what your visitors really want, what information is going to be useful to them and consider whether they will they be tempted by special offers or prices. The subject line of an email is the most important part of your campaign and spending time brainstorming and thinking about it with colleagues is time well spent. It is the first thing your recipient sees and needs to draw them in. Another option is to test out your audience by trying out a few different ones to see what gets the best results and clicks. Do not overcrowd the email. Writing a huge essay is likely to bamboozle your recipients which won’t lead to clicks. Little teasers, rhetorical questions and links are more likely to lure them in. If you are grabbing their interest they’re more likely to want to know the answers and so will click through to your website – there is no reason to give everything away in the email. Do not clutter the email with broken links, or a bad structure as this will discourage recipients from opening your emails in the future. Test the email in a number of email clients. And don’t forget that the email needs to be easy to read in Outlook, Yahoo, and any other type your target audience might use. For this reason you might need to try a couple of different designs and layouts but make sure you stick to your branding to reinforce your brand identity through consistency. Talking about design, it is very important that your email still works if images are disabled. 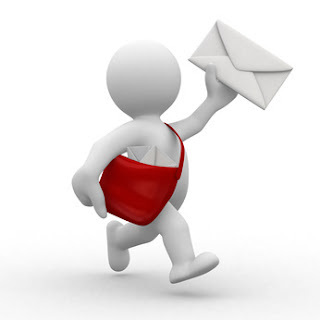 Some email clients require the reader to choose to enable images, therefore there must be enough information in the text of the email so that the recipient can clarify who they have received it from and if this is safe content to download to their computer or smart phone. One good way of ensuring this is by not using an image as your header. Choose plain text with a font as similar to your brand as possible. You should also make it a rule to fill out the alt text correctly for all the images you do chose to use in the emails. This way the recipient can see what the image is supposed to be of before they choose to download them. Lastly, always make sure you have consent from all of the contacts on your recipient list. This must be given within the last year and it might be a good idea to have a standard consent form or sign up form available on your website. This should be easy to share on social media platforms such as Facebook and Twitter, improving and expanding your mail out list. With all these elements in mind your email marketing campaign should be easier to launch and manage. Ingunn Bjoru is writing on behalf of Big Fork Ltd, an agency offering website design in Norwich, they also help clients to compile and conduct successful email marketing campaigns which, when done well, can be a really good way to drive relevant and interested visitors to your website.